The Monza line was quite confusing with all the various looks it had, even during the same model years. We’re calling all years of the quad-headlamp Monza, the ‘Monza 2+2’. The term ‘2+2’ was used by Chevy and some think it’s used to point out the 2 rectangular headlamps on each side, while some refer to the seating arrangement as such. These also have been called the Monza Sport. The Monza 2+2 debuted for 1975 as a four seater hatchback coupe. 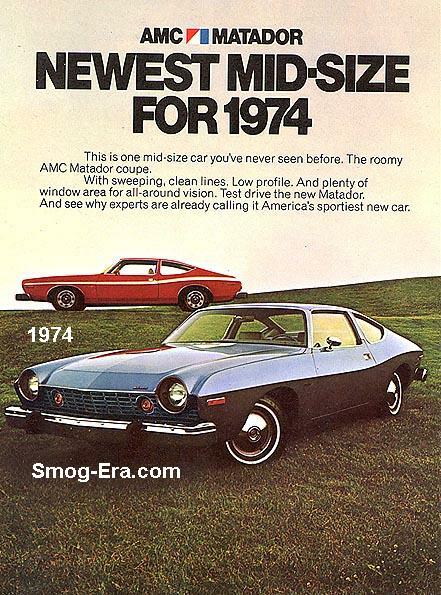 GM initially designed this car to use a Wankel style engine, but we all know that didn’t happen. Engines were a 2.3L 1bbl I4, 2.3L 2bbl I4, or a 262 CID 2bbl V8. However, California cars optioned for a V8 received a 350 CID 2bbl V8. Yes, a factory 350 V8 from the factory in this little car, albeit only rated at 125hp. A new trim package called Spyder came out for 1976. It added a floor console, F41 suspension, and a unique decal package. Also with this package was a standard 2-barrel carburetor on the 2.3L I4. All optional engines were available here too. This package lasted through 1980. Things got better half way through 1976. The 2+2 style sporty quad headlamp nose was now available on a notchback coupe. Also new this year was the 305 2bbl V8. The 262 2bbl V8 held on for this year, then was canceled for 1977. Monza 2+2s were ruling the road courses of the IMSA GT Challenge Series in the 70s. 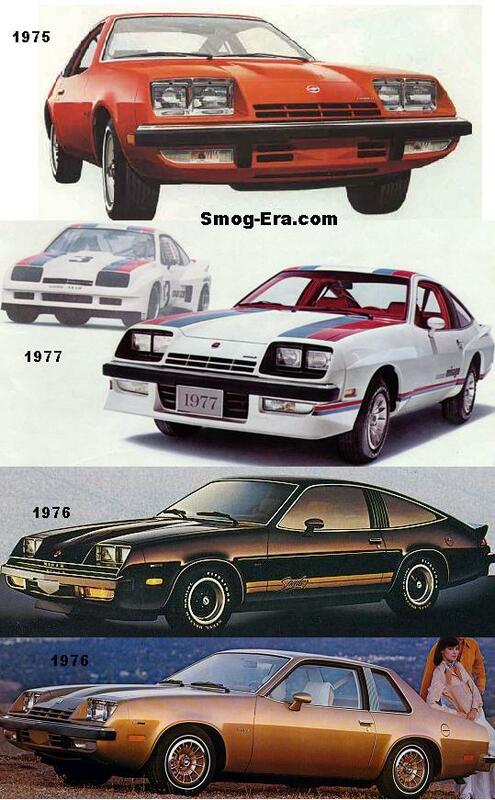 To recognize this, 1977 brought forth the Mirage package, which added red/blue striping, front air dam, rear spoiler, and fender flares. Optional on top of this package were a Sport steering wheel, Sport mirrors, full instrumentation, raised white letter tires, and the 5.0L V8. In 1978, the 2.5L Pontiac Iron Duke I4 replaced both 2.3L engines, and it was very reliable compared to the previous engine. Also in ’78, a 3.2L & 3.8L Buick V6s were added to the roster of power, as in the regular Monza. The grille openings this year got a bit larger, with a Monza emblem now sitting in the middle. The notchback coupe was dropped for 1979, and the hatchback carried on. The line ended after 1980, and without a V8 option that year. This all was in anticipation of the forthcoming front wheel drive J-body platform.